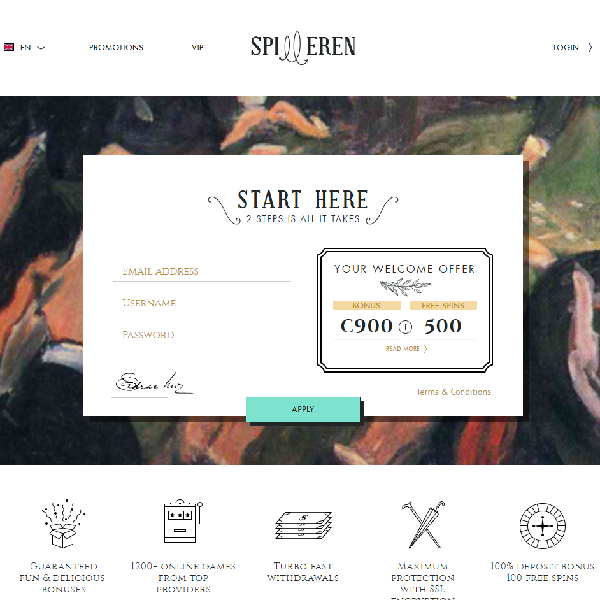 Spilleren Casino is a new Norwegian online casino that is delivering high quality gaming to players across the world. The casino has a great selection of games from developers such as Evolution Gaming, Microgaming, Net Entertainment and many more. Thanks to this breadth of choice players are never going to be stuck for choice and can enjoy a huge range of slots, card and table games, live dealer games and much more. New members of the casino are offered a 100% first deposit bonus of up to €300 and 100 free spins on Starburst. The same bonus is available on the second and third deposits but with free spins on Aloha! Cluster pays and Piggy Riches slots respectively. After the third deposit players receive 200 free spins on Guns N’Roses slots. The casino is licensed in Malta and Curacao.